Click the button below to add the Tanning Indoor Oil to your wish list. What do Mineral Oil, Cyclopentasiloxane, Alcohol, and Isopropyl have in common? These are the most common and primary ingredients used in many tanning oils on the market. These are by-products of petroleum and not very natural, nutrient rich or skin loving. Some say - “you get what you pay for”. We believe this to be true when it comes to tanning. Crafted with love in the USA with ingredients from around the world that no other tanning oil has. Black Cumin Seed, known since ancient times for its benefits with all-natural moisturizers like Red Raspberry, Pumpkin Seed, Macadamia and more! Do something good for your skin while getting the best tan ever. TAN FASTER and EASIER! Apply and Go. No artificial color or fragrance. No SPF or sunscreen. This tanning oil helps me with my goal of adding more dark color to my skin without having to be exposed under the sun all day. I used it 2 days in a row when I went to tan/swim and the results are amazing! It gave my skin a nice, warm, sun-kissed bronzish tint and feels so awesome. I love it! Help diminish the appearance of skin imperfections, restore smoothness and softness. Vitamin E and Sea Buckthorn refresh with a super anti-oxidant boost! Long lasting moisture for a great tan while improving the look and feel of your skin. Formulated for indoor and outdoor use and is tanning bed safe. This is not a self-tanner or bronzer. This is the best for tanning that I have found! I get super tanned by day two and the third day I'm brown as heck! I normally burn also and with this I do not which is good because using some lotions or oils I would get the tingles that I hated. Plus some of my fine lines are gone. Anyone who wants a great fast tan GET THIS! It brings out the color in your skin for a beautiful bronzed look so quickly! Very impressed. I loved the ease of use and the way it made my skin feel even after being in the sun for a bit then taken a shower. Amazing…… skin so tan ... skin so soft..........FLAWLESS! Our Tanning Indoor Oil solves this problem as it has no mineral oil and made with 100% of the most potent nutritive moisturizers that will help release the ultimate tan in you. Sea Buckthorn Seed Oil has been called the super fruit. This fruit has a high abundance of some of the most powerful antioxidants in the world. Not only that, but it is the only plant known to contain essential fatty acids 3, 6, 7, and 9. Sea buckthorn is perhaps best known for promoting healthy skin. This oil is packed with antioxidants and nutrients to restore skin to radiant health, particularly after sun exposure and tanning. Black Cumin Seed Oil is packed with valuable skin loving components like vitamins A, B, and C, calcium, potassium, magnesium, zinc and trace elements providing the necessary nutritive factors for skin recovery and repair. 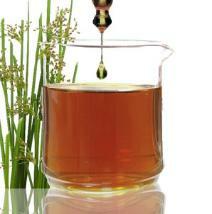 This is remarkable and highly prized nutritive oil is perfect for skin care tanning. Red Raspberry Seed Oil is jam-packed with skin-loving goodies and contains a high level of Essential Fatty Acids. Safflower Oil contains linoleic acid, an essential fatty acid that offers many benefits for the skin. Macadamia Nut Oil is high in monounsaturated fatty acids and is fabulous as a protective oil that is high in omega-6 and omega-3 fatty acids, and due to its high level of antioxidants has skin loving effects. Apply generously 10-15 minutes before tanning. Reapply as needed. Apply liberally after a warm shower while skin is still wet. Pat dry with a towel. Your skin will feel soft and moisturized all day. • Apply this oil to damp skin or 10 to 15 minutes before tanning. • Use your favorite sunscreen after using this product. • Can be combined with our other skin care products. This product does not contain a sunscreen and does not protect against sunburn. Repeated exposure of unprotected skin while tanning may increase the risk of skin aging, skin cancer and other harmful effects to the skin even if you do not burn. For external use only. Avoid contact with eyes. Rinse with water. If irritation occurs, discontinue use. Keep out of reach of small children. 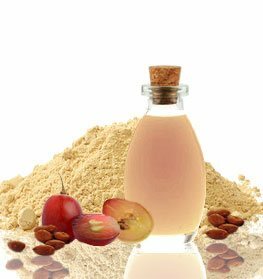 Macadamia Integrifolia (Macadamia Nut Oil), Carthamus Tinctorius (Safflower) Oil, Vitis Vinifera (Grapeseed) Oil, Oryza Sativa (Rice Bran) Oil, Cocos Nucifera (Coconut) Oil, Rubus Idaeus (Red Raspberry Seed) Oil, Olea Europaea (Olive) Oil, Prunus Armeniaca (Apricot Kernel) Oil, Cucurbita Maxima (Pumpkin Seed) Oil, Prunus Amygdalus (Almond) Oil, Nigella Sativa (Black Cumin Seed) Oil, Hippophae Rhamnoides (Sea Buckthorn) Oil, Sesamum Indicum (Sesame Seed) Oil, Tocopherol (Vitamin E). Really good indoor tanning oil, I have only used it twice and have noticeable results. I'm always looking for nutritive products whenever possible and I'm very pleased with this nutritive tanning oil. The absolute best part about this this product is that you are adding nutrients to your skin. My skin is looking and feeling great! I came across this natural tanning indoor oil and thought why not. I was a bit skeptical because it seemed too good to be true. I am happy to say this is the real deal. I have very sensitive skin as well eczema and rosacea and this did NOT give me any reactions or side effects. This is the greatest thing ever made. I will be using this for the rest of my life. Not just because is natural and organic and made my skin heal, plus the tanning color I get is the best! I really love this tanning oil. After finding this natural tanning options I felt like I might be able to tanning without any allergic reactions, so it looks like the natural ingredients are working nicely for me. I was able to cover my whole body without using much. My experience with this tanning oil has been a great one I have gotten really dark with this oil alone. Just loving it. This was the first time in my life I actually got a good tan without having that "redish" look. Best tan I've ever had in my life. I only have time to tan about once every 2-4 days, so this just natural tanning indoor oil is perfect for me. I think I have given everything is on the market a try, just happens that only a couple products work really well for me. I was not a natural products believer, but I have had only good results with this oil. My skin loves it! I am fair skinned and sensitive. I always seem to have skin allergic reactions and to find good quality tanning products has been a challenge for me. I always purchase high quality, top of the line salon products, but none are made for sensitive skin. This is a great product for my sensitive skin. All in all this lotion works great and gives me great color. It has been a few days since last applying and my tan still looks just as good. Good indoor tanning oil, I have only used it twice and have noticeable results. I'm always looking for natural products whenever possible and I'm glad with this natural oil tanner. The absolute best part about this this product is that you are adding nutrients to your skin. My skin is looking and feeling great! I'm so glad I purchased this tanning indoor oil. This is the only nutritive oil that helps me get darker in just a few days. I have definitely gotten some color but the best part is how it makes my skin so soft. It smells so clean and it’s amazing for my skin. I would definitely recommend this tanning oil for paler tanners -especially ones that tan easily, because it gives you nutritive looking bronze tones. This was my first 100% nutritive tanning indoor oil... It got me dark so quick!! There is a nice herbal smell and it makes your skin silky smooth. I have super sensitive skin, very easy to break out and this tanning oil so far is the best solution to my itchy dry skin problem… while making you dark, quick! Def worth it. I just got mine and it makes my skin feel amazing and gives my skin a nice color. I was a bit skeptic about ordering this tanning oil from the internet based on many reviews of various tanning products being fake. My experience with this tanning oil has been a great one I have gotten really dark with this oil alone. It smells like tea, a very relaxing experience. I think this nutritive tanning oil for indoor beds is fantastic!! It's hard for me to find tanning oil that doesn't give me the skin problems. It is the best indoor tanning product I’ve found for starting and maintaining your tan. I have tried so many lotions and this tanning oil beats them all. After about two weeks of tanning with this I am about several shades darker than I was. I am tanning every day for twenty minutes in a level two bed. On top of this my skin feels and looks so moisturized with an awesome golden sheen to it. This is golden people! If you really want your skin to stay moisturized in a tanning bed this is for you. This tanning bed oil absorbs so quickly and has almost no scent it’s very nice and light. It make my skin looks so healthy!! It is 100% percent nutritive with no mineral oil or other chemicals. This is a clean skin healthy tanning oil that will help extend your tan the longest. I purchased my first tanning indoor oil and lotion and raced to my tanning salon. The oil and lotion are by far the best of the best. I have been tanning for over 7 years and have used an array of lotions, oils and bronzers. The smell of these products is real. It is very nice to smell a product that has a pure and nutritive scent to it. I suggest mixing the tanning oil with the tanning lotion for certain body parts like your elbows and knees which seem to absorb the products a lot more and may make it darker. I would definitely recommend this to anyone who tans! This tanning oil for indoor use is by far my new favorite. I have been tanning for around a month to get ready for a vacation in less than two weeks to Bahamas and want to have a good tan before I leave. This will help you to get that darker look you need. This has helped me achieve the best color I’ve had in years!! This product is all natural and really helps to extend my tan. I apply it daily as a moisturizer because it makes my skin feel so soft. I don’t know how I ever live without it! I bought the oil and lotion love both of them! And both another oil!! Will be ordering more! I'm 57 and my skin is soft and I look like I'm 39! LoL Lady's you got to try this!! I was sceptical at first but after reading the good reviews, I thought I'd give it a try. I bought the indoor/outdoor tanning oil and I'm so glad I did. I'm 49 y/o and I've gotten compliments from 20+ y/o about the beautiful golden tan I have. Their words not mine...lol. I'll be a repeat buyer. So far I love that it has makes my skin feel softer and it has gotten a little darker!! When I first placed my order I order the indoor tanning oil instead of the self tanner but I love it I use it after I shower and it's awesome!! My skin was so soft. Then I ordered the self tanner light to medium and dark tones and I think this is the greatest tanner and I've tried them all. I absolutely love it. Thank you for a great product. I"ve only had the product for about 2 weeks Thought I was going to get a tan without going in the sun but after reading directions I see the error of my ways. It is soothing and leaves my softer than its been in 70 years. Mother Nature has been hiding the sun lately so I have been unable to try the product's effectiveness in the good weather. I purchased the indoor tanning oil. I get better results if I do not use this product before tanning. It says to apply 15 minutes prior to tanning. But beware of clothing and your cloth car seats. It does make my skin feel great. If I do reorder it will be the serum for me for tanning it does not work at least not indoors. But products work differently on people, so this is my opinion. It's a good oil but not for indoor tanning. I've used the lotion and got awesome results with that. The oi works well for outside. I’m not sure what kind of witchcraft/wizardry is in this bottle but it is nothing short of magical!! My skin wasn’t getting brown from tanning. It was slowly getting there but not fast enough! So I decided to give this a try. OMG!!! I’ve told everyone about it! It’s amazing! My skin is a beautiful golden brown and looks amazing!! Thank you so much for making this magic potion! !